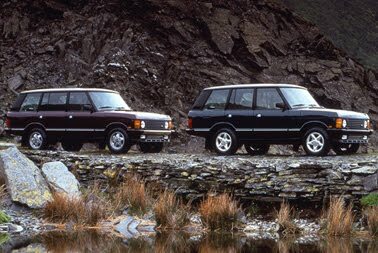 Refinements to the Land Rover-built 1994 Range Rover models, including an increased EPA fuel economy rating and revised interior and exterior trim, maintain Range Rover's position as the "Gold Standard" among sport utility vehicles. 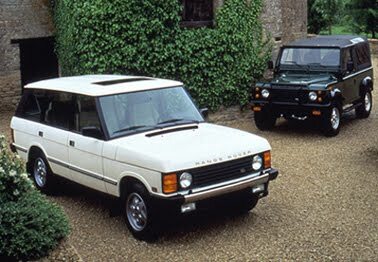 The award-winning flagship Range Rover County LWB (long wheelbase) paced Land Rover North America, Inc. to a 35 percent sales increase through the first half of 1993. Launched last year as the most significant technical advance made since the British-built luxury sport utility vehicle was introduced in 1970, the County LWB, with its 108" wheelbase and limousine-like rear legroom, has garnered several major awards and positive reviews from the automotive press. But for 1994, County LWB is no longer the world's first and only four-wheel drive, dual-purpose vehicle to have height adjustable electronic air suspension (EAS). This exclusive feature has also been added as standard equipment to the 100" wheelbase Range Rover County, giving both models unmatched off-pavement capabilitiy and on-road comfort. The manufacturer's suggested retail price (MSRP) for the 1994 Range Rover County LWB is $50,200. The County model carries an MSRP of $46,900 for 1994. Extra cost options include Beluga Black clearcoat paint finish for $300 and a choice of two new exclusive leather trim colors on the County LWB for an additional $750. With the same innovative EAS system as its longer stablemate, the County is now more capable than ever of providing luxury and performance for the most discriminating sport utility buyer. An electronic traction control system is also standard. 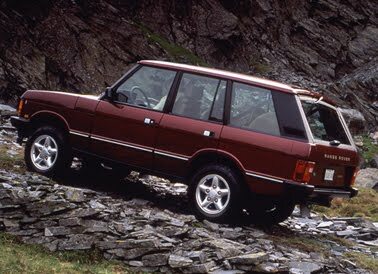 Range Rover County also receives minor trim changes for 1994 including the addition of two new color choices: Carmen Red Pearl and British Racing Green. Both new finishes, along with returning favorites Beluga Black (extra cost) and Alpine White, have Sorrell Beige Connolly leather interior trim. The County is powered by a proven 3.9 litre, 182 horsepower aluminium V-8 engine, providing ample power for any condition or driver demand. After a much-heralded debut in October 1992, a very successful first-year sales record and several major automotive awards, the County LWB returns with refinements for 1994. County LWB now offers a choice of interior colors, either standard light-hued Sorrell Beige or extra cost Dark Sable and Light Stone, for its Connolly leather seating areas. The Dark Sable interior is available exclusively on County LWB with two exterior paint choices: new Montpellier Red or extra-cost Beluga Black paint. Also returning for 1994 are popular Brooklands Green and Cornish Cream exterior finishes which are available only with a unique Light Stone Connolly leather interior treatment that has a revised horizontal stitch pattern. A new design, "cyclone"-style alloy wheel with "Quicksilver" finish unmistakably identifies the County LWB for 1994. The County LWB continues as the most powerful Range Rover ever built, this year with an EPA fuel economy rating improved to 13 mpg city and 16 mpg highway for the durable, fuel-injected, 4.2 litre aluminium V-8. With an output of 200 hp and 251 lb-ft of torque, it brings 0-60 acceleration below 10 seconds with a top speed of nearly 112 mph. Range Rover County LWB owners enjoy an additional eight inches of legroom in the rear seat. Redesigned aperture angles make rear doors easier to operate as well. Puddle lamps on the County LWB's rear doors' lower edges help to avoid the prospect of stepping in something unpleasant. For more than 20 years the Range Rover's long travel coil spring suspension with load-levelling device has made it the most capable off-road vehicle in the world while giving it superb on-road ride characteristics. Range Rover's Electronic Air Suspension (EAS) represents a quantum leap forward in ride, handling and noise isolation. By using air springs at all four corners and monitoring electronic height sensors, the vehicle automatically adjusts spring rates to constantly maintain a level ride, even when fully loaded. This feature, in concert with the powerful aluminium V-8 engines, make the 1994 Range Rovers among the best tow vehicles on the road, capable of pulling trailers with brakes up to 6500 pounds at highway speeds. The driver has control over suspension settings that raise or lower the vehicle over a range of 5.1 inches (130 mm). NORMAL ride height is comparable to previously coil-sprung Range Rovers. The vehicle assumes this position during routine, around town driving and when towing. LOW PROFILE is automatically engaged when the vehicle cruises above 50 mph for 30 seconds, dropping .8 inch (20 mm) for an aerodynamically lower profile and a two percent gain in fuel economy. When parked, the driver may select the ACCESS height by pushing the Down button which will lower the vehicle 2.4 inches (60 mm) to facilitate entry and exit. When approaching deep water crossing or severe off-pavement conditions, the driver pushes the Up button for HIGH PROFILE, thereby raising the vehicle 1.6 inches (40 mm) and enabling it to wade in water nearly 22 inches deep. The final EAS capability is EXTENDED PROFILE, which will cause a suspended wheel to reach down a full 2.8 inches (70 mm) from standard height to gain traction if the vehicle is high centered off-road. With all this capability, it's in day-to-day driving that EAS best demonstrates its uncanny isolation from road noise and vibration because there is no metal-to-metal contact between axles and springs, and the effortless maintenance of ride height despite load and road surface. Like all Land Rover products, both Range Rover models have permanent four-wheel drive. Their unmatched capability has been further enhanced by the world's only four-wheel drive application of an Electronic Traction Control system (ETCS). Working in conjunction with the standard viscous-coupled center differential and four-wheel, four-channel anti-lock braking system (ABS), traction control will automatically sense if a rear wheel is slipping and cause power to be applied to the wheel with the best grip. The 1994 Range Rovers benefit from more than four dozen engineering refinements ranging from improved interior fit and finish to revised exterior badging. Both Range Rover models receive added touches of burl walnut interior trim, now including a veneer transfer case selector knob cap. The Range Rover County LWB and Range Rover County ride and drive on a par with the most sophisticated luxury sedans and approach their level of quietness. Last year's comprehensive revision of body mounts, sealing and noise absorption reduced cabin noise by nearly fifty percent, while fine-tuning for 1994 has made further advances in reducing vehicle noise levels. A revised keyless remote-operating central door lock/alarm system is standard on all 1994 Range Rovers. Theft security extends to the 120 watt a/d/s Pioneer AM/FM cassette stereo with six-disc CD changer. Radio reception is enhanced with a diversity antenna system that constantly seeks the strongest signal. All Range Rover models are built om a 14-gauge boxed steel chassis with a steel monocoque cage mounted in rubber and clad in aluminium outer body panels for low weight and long, corrosion-free lifespan. Range Rovers are covered by a three year/42.000 mile limited warranty, a six-year unlimited milage corrosion guarantee and the Land Rover Road RecoveryTM program that offers year-round, 24-hour free roadside service and towing for the life of the vehicle. Charles R. Hughes, president, Land Rover North America, Inc., said, "We are confident that the refined-for-1994 Range Rovers will further assert the vehicles as the world's premier sports utilities. Range Rover's technology and capability are unmatched as is our dedication to supporting all Land Rover products, our customers and our dealers." Information about Land Rover four-wheel drive vehicles can be obtained by calling 1-800 FINE 4WD. Land Rover North America, Inc, is a member of the Rover Group of Companies, importing vehicles manufactured by Land Rover, Solihull, England.